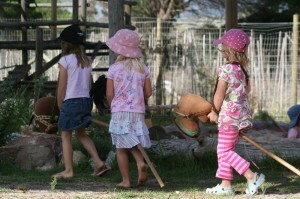 In Playgroup & Kindergarten children live in a rich world of play and discovery. They are living in the realm of imitation and absorb the impressions of their environment. Great care is therefore taken to provide a warm, welcoming, harmonious and beautiful environment for the children. Teachers focus on the quality of their interactions with each child. Classrooms have a nurturing, soulful feel to them and all toys are made from natural materials. Teachers establish a consistent daily rhythm: time spent inside the classroom is balanced with creative play outside. The child comes to feel a sense of security in the order and harmony that is developed in the rhythm and purpose of each day. Inside time provides children with opportunities to be creative and to develop their fine-motor skills with activities like tying, twisting, braiding, stitching, drawing, painting and baking. 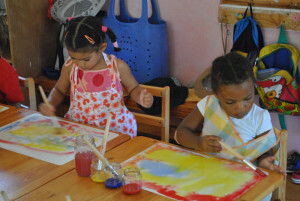 In playgroup children do baking, painting, drawing and seasonal craft activities in preparation for the festivals. In Kindergarten they learn more advanced handwork like sewing, felting and weaving. Storytelling, puppetry, circle games, singing and music are an important part of the curriculum and help with listening, concentration and speech and language development, while at the same time nurturing children imaginatively. In kindergarten re-enacting the fairy tales is added to the curriculum. Each playgroup and kindergarten class have their own beautiful garden. During outside time, this garden becomes an important part of the curriculum as children practice their co-ordination and sense of balance and movement. Clay pits, swings, jungle gyms, and climbing trees provide children with plenty of opportunities to develop their gross motor skills, which are essential for later intellectual development. One of the particularly inspiring features of Waldorf education is the emphasis on free creative play, which is considered to be the ‘work’ of the young child. 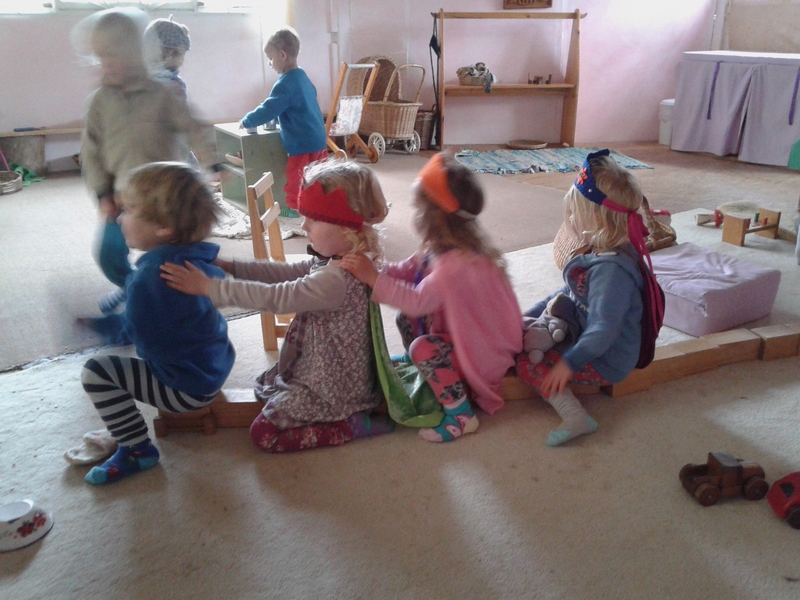 Creative play lays the foundation for a strong imagination, creative thinking, socialisation skills and creative problem solving in later life. A child needs time to play as through play they meet each other socially and transform their own world. This inner work nurtures the child’s individuality. 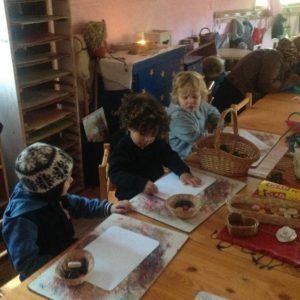 From the very early school days Waldorf education cultivates an intrinsic motivation toward learning by making school interesting. Children come to school, not out of any sense of obligation, but because they love school. Waldorf pre-schoolers enter primary school armed with an active imagination, a deep reverence for the world and a love of learning. 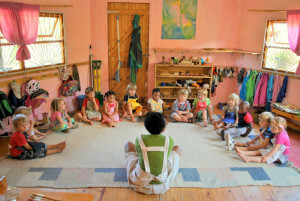 Imhoff Waldorf school has a toddler group, 2 playgroup classes and 3 kindergarten classes. The use of electronic media, particularly television, is strongly discouraged in Waldorf schools.